In a now very digital society, marketers have adapted to reach consumers where they are—on their phones, tablets, computers and any number of devices with internet access. While a mastery of online marketing is absolutely essential to brand success, providing an engaging offline experience is becoming increasingly important, particularly for those who operate in the luxury space. The ability to seamlessly blend both offline and online marketing strategies to create a high-value customer experience builds a deeper relationship with ultra-high-net-worth individuals who are looking more than ever for brands they can trust. Luxury is not so easily defined in a world where consumer desires have become notoriously fickle and brand halos shine brightly or tarnish in a nanosecond. In the most basic sense, when wealthy consumers think of luxury, they think of the brands that empower them to put their best self forward and that create a sense of true connection with the people and things that they most value on this world. For some, this may mean a passion for classic physical products such as luxury cars or jewelry, while for others, it may be a highly-tuned interest in brands that have a strong positive social impact, and for others, it may be purely experiential—how do they feel when they are in the moment, and how does that connect them to others in that moment—consider travel and shared dining experiences. What may make one ultra-wealthy consumer ecstatic may not even resonate with another. As the world’s population of ultra-rich individuals continues to grow and evolve across the globe, so do their purchase preferences. 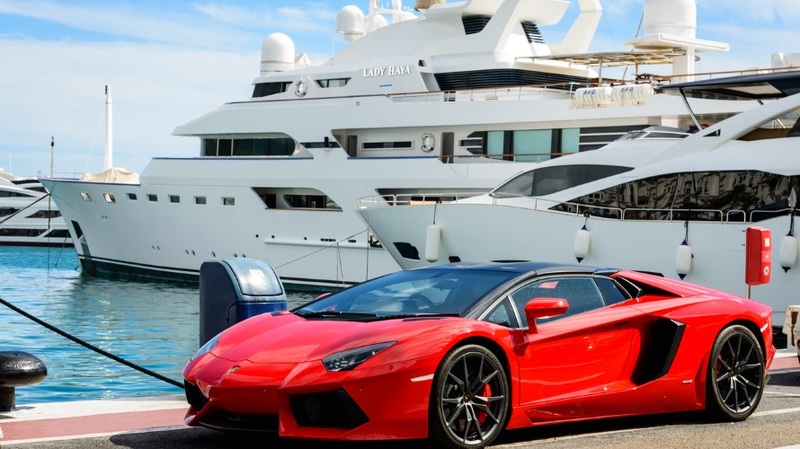 The growth of this segment has been especially pronounced in the U.S. and Asia, notching 5.1 percent and 3.5 percent growth rates, respectively, in the past year, according to the Wealth X Wealth Report. There is also a smaller but increasingly influential group of millennials with substantial buying power who are demonstrating differing interests and activities than their UHNW peers. Marketers need to be highly aware of these changing populations and the growing evolution in these new expressions of luxury lifestyle. Such new luxury lifestyle expressions often also mean an increased interest in the most current high-tech products, including digitally delivered services. UHNWI have traditionally been early adopters of emerging products, and this attribute is only reinforced today with the rapid speed of technological change. In recent years, there has also been a strong movement toward immersive luxury experiences where consumers can mingle with other like-minded individuals while enjoying a brand experience, as a kind of counter-balance to the technology solutions that surround us every day. While this is a current trend in wealth markets in Europe and North America, marketers should be watching for this to accelerate across the globe. Consumers that are the main target for luxury products often do not want to be found by marketers. In fact, they desire a much greater level of privacy than other market segments. As such, it is important to find innovative ways to stand out from other brands to win over these curious but often inaccessible prospects. Creating an attractive and relevant offline experience for consumers helps to curate trust among a group that is often a constant target for marketers because of their wealth. Ultra-wealthy individuals want to ensure that a brand fits their interests and passions, and hosting thoughtful and engaging events builds brand loyalty and provides a unique social and emotional experience where attendees can cultivate relationships with like-minded individuals. A brand event with the right sponsors, a unique venue and an exclusive guest list will leave consumers with a positive view of your brand and solidify your legitimacy in this premier space. While the development and growth of an offline presence is key, your core marketing efforts are of course still paramount and must be woven into any successful strategy. When marketing to the ultra-wealthy. be sure to reach out where you know they are active—whether that is on niche social media platforms dedicated to luxury lifestyle, or to specific websites, blogs, channels or publications that have a captivated and elite audience.